I have made it my goal to live a healthier lifestyle this year and that includes making healthier choices all around, eating healthy foods that make me feel great and ultimately finding that workout that truly “works” for me and that helps me to feel amazing and energized. This is a list of my favorite items that will help to not only assist you to stay on track & motivated… but also will help you look amazing & that will help you to feel good about yourself, energized and refreshed all at the same time. It is no secret that working out actually helps you to feel more energized and all around “motivated” in all aspects of your life. It is great at battling depression as it releases endorphins & more plus it is simply a fabulous thing that I know everyone can benefit from in this day and age of everything being accessible and at our fingertips. We need to get out there and enjoy the great outdoors and move around like we did when we were kids. We need to share these experiences as well with our kids as they need to appreciate all that moving around and being active can provide. This is the perfect way to get them off the tech…. and we all know that that can be challenging as it seems everyone is on their cell phones or tablets these days. This is a crazy world that we live in today and I am ready to try and shake it up for myself and for my family. Check out the items that I have been using so far this year to help keep me motivated and on track as far as my goals go….. and yeah…. I know a lot of it is about style, fashion and function but remember that I am a girl and when I feel good about myself it shows pretty much in all that I do. If that means a cute workout outfit and even a cool piece of technology that will help to keep me on track… count me in. These items work for me personally and I just wanted to share with you all. Check Out My 5 Must Have Fitness Necessities That Will Help To Keep You Motivated, Feeling Fabulous & On Track! This is open to whatever your perfect sneaker may be… but make sure you invest in a great pair of shoes that will support you when working out but also will be functional so that you can drop off and pick up the kids, run to the store and run errands all while being dressed to get that workout in and of course all while being and feeling comfortable. That is really what it is about…. being comfy and ready to go whenever the occasion fits. I try sticking to a schedule when working out but I have to admit that my workout times change a bit to fit my needs as this is probably commonplace for a lot of people as we are so busy these days. This is why I love having outfits that look good but also are cool to run around in and well…. basically I am always prepared but stylish at the same time. This is my sneaker….. and love it. 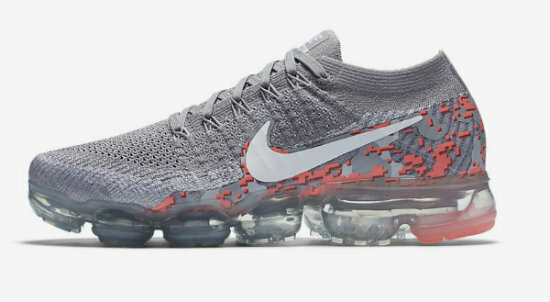 My goal is to get back to a regular running routine so I wanted a great pair of running shoes for sure and the Nike Air VaporMax Flyknit Camo was the perfect choice. Pricey but worth every penny for the perfect shoe. When working out and “running around” the undergarments that you choose, including your t shirts…. are super important. You want something that is going to wick moisture away and help to keep you dry in those “prone to be sweaty” areas. The Knixwear tank tee is my go to choice. They have 3 perfect colors & the Fresh Fix Technology® panels in the underarms wick away and absorb sweat, and the breathable waterproof backing stops sweat from showing through. This is also great for women working in a business type situation…. great for wearing under dress shirts, blazers or stylish jackets, sweaters and pretty much anything you can think of. It is designed to fit snug and helps to keep you dry throughout the day, whether working out, running errands, working, and more. I love a perfect pant that is not too baggy and not too tight and this pair available at Kohl’s for Nike is the perfect fit. I snagged a few pairs in different colors and I just love them. I also have some yoga snug style pants too…. and love combining different colors that I can interchange and make look new and different every time that I wear them. I try to stay with essentials that basically go with anything as this helps to save money in the scheme of things when investing in your workout wardrobe. You can also find a lot of great Kohl’s coupons online to help lower the cost of your purchase. 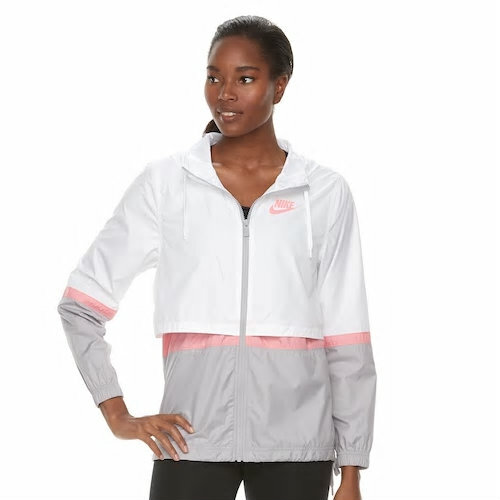 The perfect windbreaker and zipper sweatshirts are the must have items to keep me running all day long. With a few cute pieces like these…. I can run around in my workout gear and do pretty much anything. I love this one from Kohl’s as I snagged one to keep me comfy and ready to run or workout anytime! The perfect fitness tracker is a must. This is the perfect way to track your progress and to ensure you are meeting your fitness goals…whatever they may be. You can receive a better assessment on your active lifestyle with an activity tracker that adjusts to your lifestyle to fit your workout needs. 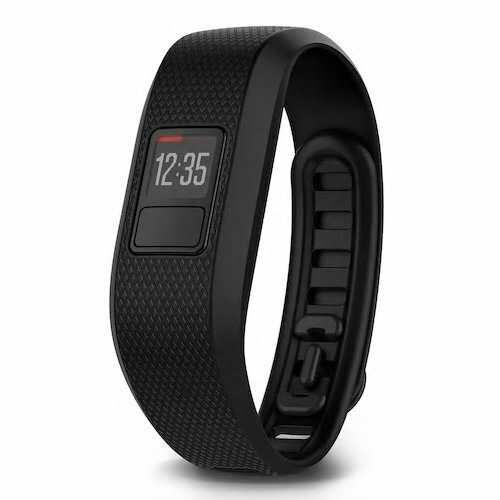 The Garmin vivofit 3 activity tracker gives you the insights you need to meet your goals. I just love this as it is easy to use, goes with everything, and is the perfect match for all of my outfits. I love just keeping track of all of the steps I take a day so this is perfect when wearing a pair of jeans and a sweater with some cute boots as well. I just love it. So what do you think? Do you have these items already on hand? Maybe a refresh is in order….. simply refresh your wardrobe with a few amazing new pieces and you will for sure be “re-motivated” to get your work out game on. Leave Some Comment Love and Tell Me All About Your Thoughts Today! I Love Hearing From You! I am a fitness instructor and runner, and YES–the perfect sneaker is so important. In fact, I get fitted for my running shoes. Most running stores will evaluate and fit you in the right shoe for free. It makes a big difference, and helps to prevent injuries. Thanks for the info. I really need to start getting in bathing suit shape. A good shower and brushing my teeth is what does it for me. I also like. a cute outfit. Thanks for the great tips, I just started a diet and would love to add a exercise program to it…..
Good shoes are essential for walking or running. I need to get a new pair. I am a fitness instructor, and I agree with all of this. We feel good when we are comfortable and wear clothes that we like. The right shoe is so important. Also, a fitness tracker can totally keep you motivated. I like having comfortable clothes for exercising. And also for the rest of the time. Thanks for sharing! I just started on probiotics. My sister swears by them! I have the clothes and shoes but what I really need is a fitness tracker. Hopefully that will help get keep me motivated. Its definatly true that each person has their own ‘perfect’ tennis shoe! I need the fitness tracker and clothes still. It really helps me to get out and go for a long walk everyday and having the right clothes to get outside in all different weather makes a difference. I like everything listed on here, and could really use them when I workout. I definitely need to start getting fitness gear. Thank you for sharing. I’m trying to lose some weight and this will help me get there quicker. I need to lose some inches too. Being comfortable when you’re exercising is important. I want to get me a tracker to help me keep up with my workouts. Thanks for sharing your picks! I am in desperate need of a new pair of tennis shoes but haven’t done any research yet. I’m really hard on them so I try to find the best possible ones I can! This a great list of things to have! I definitely 100% agree about the shoes! You need something comfortable so you don’t end up dreading the pain in your feet, knees, back, etc. Thank you for this list. I never realized the importance of a tshirt, and i will look into your suggestion! As for the sneaker- there is a store near where I work. They will have you try on sneakers and go out in the alley and walk and run in them. They are determined to find the correct shoe for the individual because that is so important! 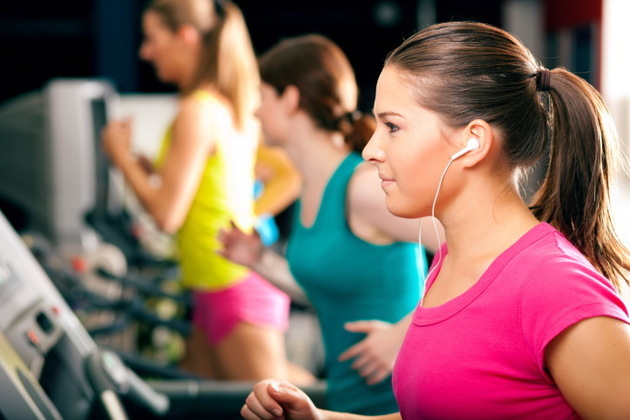 Fitness is easier and makes you more motivated when you have the perfect essentials. Finding the correct footwear is difficult but very important. I need a tracker. I have just recently started an exercise program and been trying to build up a sporty wardrobe. Great choices and explanations why each piece “works”. I have instructions from my doctor to use it or lose it! It will definitely help to have the right gear. Thanks for sharing. My husband and I have been walking daily for months. We do feel much better and know your gear is important.